Alice Middleton Peguese was born August 31, 1948 to the late Seaman and Lula Lee Middleton in Cross, South Carolina. From this union, seven children were born, and Alice was the fourth oldest child. Alice departed this life on Saturday, March 23, 2019 at Trident Medical Center, Charleston, South Carolina. Alice was educated through the Orangeburg County Public School System. While in high school, she sang with the gospel group, The Dwelling Sisters. After graduating from Roberts High School, Holly Hill, South Carolina, she moved to Jersey City, New Jersey. She worked in the cosmetic industry for many years until she returned home. She also was employed by the Shuler-Marshall Funeral Home of Holly Hill, South Carolina, as a receptionist, for many years. She was joined in holy wedlock to the late, Otis Peguese. Alice was a member of Greater St. Paul United Methodist Church where she served on the Usher Board. 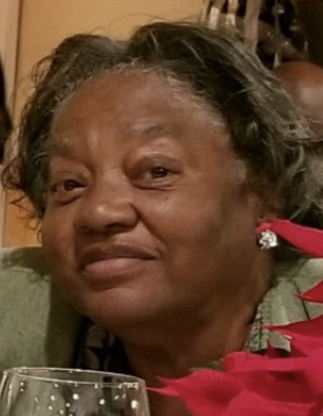 Alice is preceded in death by one great grandson, Tevin Carter Middleton, Jr.
Alice, ‘Dot’ as she was affectionately known, leaves to cherish her precious memories: two sons, Shane A. (Sandra) Middleton of Cross, SC and Brian K. Middleton of Martinsburg, West Virginia; one daughter, Crystal Middleton of Moncks Corner, SC; three brothers, Harrison (St. Clair) Middleton, Charles Middleton, and Joseph J. (Debra) Middleton, all of Cross, SC; three sisters, Annie M. (Richard) Ravenell of Cross, SC, Brandy (Harry) Gadson of Eutawville, SC, and Shirley M. Shears of Columbia, SC; nine grandchildren, one great-grandchild; three aunts, Katura Butler, Lucille M. Lee, both of Cross, SC, and Martha M. Broughton of Eutawville, SC; a loving and caring cousin, Carolyn B. Mitchell; a special friend, Ruthie H. Levine; and a host of nieces, nephews, cousins, and friends.